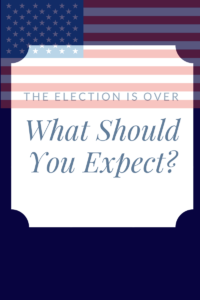 The Election is Over: What Should You Expect? It has now been one month since election day, a new administration in the White House and a new Congressional makeup are in the works. If you’re like us, you are probably starting to wonder, “How will this affect me?” The President-elect made campaign promises that would affect both personal and business taxes as well as healthcare costs. President-elect Trump’s campaign included several tax-related proposals that he intends to pursue during his first 100 days in office, which are set forth in more detail below. This rate structure tracks one proposed by House Republicans earlier this year. In addition to changes to individual income tax rates, President-elect Trump proposed changes to the capital gains and dividend tax rates to align such rates within his proposed percent income tax bracket levels. President-elect Trump further proposed he would seek to limit itemized deductions, eliminate the head-of-household filing status and all personal exemptions. President-elect Trump also has called for increasing the standard deduction. Under his plan, the standard deduction would increase to $15,000 for single individuals and to $30,000 for married couples filing jointly. Additionally, President-elect Trump proposes to seek the creation of dependent care savings accounts, changes to earned income tax credit and enhanced deductions for child care and eldercare. President-elect Trump proposed to repeal the alternative minimum tax (AMT) and the federal estate and gift tax. 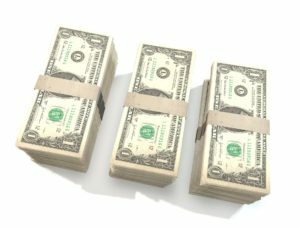 The unified federal estate and gift tax currently starts for estates valued at $5.490 million per individual for 2017. President-elect Trump made repeal of the Affordable Care Act (ACA) a primary focus in his campaign. The President-elect said he would call a special session of Congress to repeal the ACA, which enacted several new tax provisions and a penalty into law to fund the ACA, including the net investment income tax and the Additional Medicare Tax, both of which largely impact higher income taxpayers. The current corporate tax rate is 35 percent. President-elect Trump called during the campaign for a reduction in the corporate tax rate from 35 percent to 15 percent. Furthermore, the President-elect has proposed sharing that rate with owners of “pass through” entities (i.e. sole proprietorships, partnerships and S corporations), but only for profits that are reinvested in the business. Trump also proposed a doubling of the small business expensing election to $1 million, and the immediate deduction of all new investments in a business. President-elect Trump’s tax proposals that are outlined above are based largely on representations by him during the campaign and in his campaign materials. Year-end planning is here. Are you looking for ways to get a tax break? Paying legal fees isn’t anyone’s favorite thing to do, but doing so on or before December 31 could result in substantial tax savings for you and your business. Do you have deferred legal work? Many of our clients have deferred legal needs, including Employment Agreements, Non-Compete Agreements, Non-Disclosure Agreements, review of key vendor and customer agreements to avoid future liability, or forming entities to hold and manage real estate or a new business venture. Come in and speak with us before the end of the year to ensure that you handle the crucial legal work that has gone unaddressed, which will allow you to avoid liability and protect your interests while ultimately reducing your tax burden. Call to make an appointment with us today and we will fit you in before Dec. 31. This month we welcome experienced attorneys Daniel Ippolito and Josh Kuhlmann to our team. Both hires further solidify the PSMC philosophy to provide our clients with a holistic set of services that can help you plan and protect yourself now and in the future in every area of your life. Daniel brings experience in securities law, business and estate planning, real estate transactions, mergers and acquisitions. Some of his biggest accomplishments thus far were during his time in leadership positions with registered broker dealers and members of the Financial Industry Regulatory Authority. Contact Daniel at Daniel@psmclaw.com or 972.239.6200. Josh joins PSMC after several years in State Attorney’s offices in Florida, as well as personal injury and criminal defense law practice here in the DFW area. His most recent experience comes from opening his own private practice in 2015. Josh’s focus areas remain in criminal defense and personal injury. Contact Josh at Josh@psmclaw.com or 972.239.6200. Welcome to the team, Daniel and Josh – we are thrilled to have you! We at Prevost, Shaff, Mason and Carns, PLLC (“PSMC”) are proud to officially introduce our two newest partners, who we know will help us continue to grow, and expand our reach and areas of expertise. Our passion is to help our clients plan for the future and protect their accomplishments in every area of their life. In order to do this holistically and effectively, we have named Christopher L. Carns and G. Chadd Mason firm partners. Chris brings with him extensive and specialized experience in estate and business planning, while Chadd combines his knowledge of financial services and wealth management with his more than 20 years of legal counsel. With these additions, come new services that we can provide you and your family. PSMC’s expert services include, but are not limited to, estate planning and administration, asset protection planning, and business and tax planning. To learn more about Chris and Chadd and their experience, take a look at their full bios here and here.